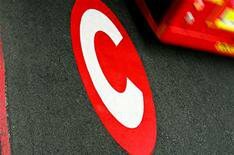 Londoners support congestion charge | What Car? The majority of Londoners are in favour of Mayor Ken Livingstone's decision to charge up to 25 for high-emissions vehicles within the congestion charge zone, according to a new survey. The plans, due to come into force on October 27, will enable the Mayor to charge 25 for all cars that emit over 225g/km of carbon dioxide, while cars that give off less than 120g/km will be exempt from the charge. The survey polled 1041 adults from the age of 16, and reveals that 61% of Londoners support the Mayor's congestion charge increase, with 29% opposing the move. It also showed that 67% of Londoners supported the exemption for cars below the 120g/km threshold - such as the Volkswagen Polo Bluemotion - while 21% opposed the discount. In addition, the survey also suggested that 65% of Londoners believe the new measures will be good for London, with 19% disagreeing. The German sports car manufacturer is applying for a judicial review to have Mr Livingstone's decision overturned, saying that the increased charge is 'unfair and disproportionate'. Andy Goss, the managing director of Porsche GB, said 'Thousands of car owners driving a huge range of cars will be hit by a disproportionate tax which will have a very limited effect on carbon dioxide emissions'. It may also damage sales for Porsche in the UK, as all the cars in their current range fall under the highest 25 charge. Boris Johnson, the Conservative mayoral candidate suggested that 'Londoners use their cars because of the appalling state of the transport system - a big car tax won't change that'. However, he isn't backing Porsche's legal challenge.